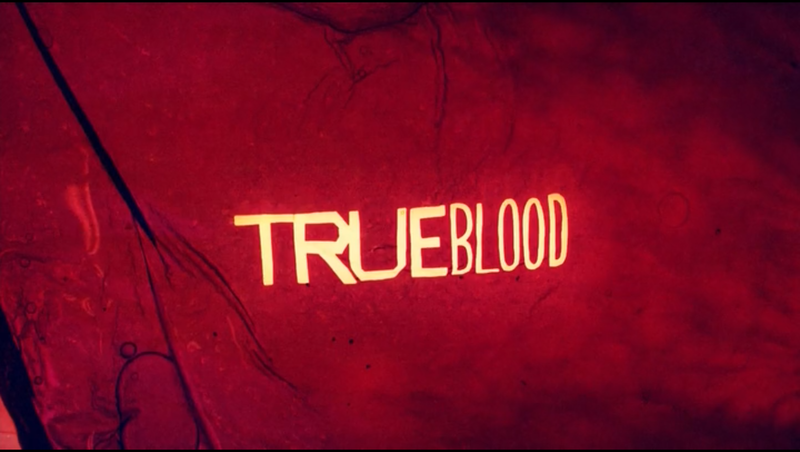 Season 6 of True Blood premiered on Sunday and it picked up right where the last season had left off. Sookie and Eric had just witnessed Bill turn into a pool of blood and then rise up from the blood in a Lilith-esque way. Sookie and Eric run out of the building with the new Billith in hot pursuit. They get outside and reach their car by which Eric’s “sister” is there with the rest of the rescue team. They’re about to drive away when they notice Billith calmly walking through flames and by this point they’ve figured out he’s not the same and speed off. They stop of at a bridge and Jessica, who’s maker is Bill, gets summoned by Billith. Except this time its much more powerful and she starts to cough up blood. Sookie, the ever faithful do-gooder, tells Eric that she’s taking Jessica to Billith and he can’t stop her. Tara starts to follow after he but is stopped by Eric. Soon after we see Sookie pull up beside Bill Compton’s regular residence. They walk through the house and find Billith sat on the porch. He claims that he just wants to talk. At which point Nora comes flying out of the sky and is knocked to one side by Billith. Following soon after is Eric. Sookie stakes Billith to save Eric but the stake has no effect and he pulls it out with ease. They talk. Billith explains that he is still Bill Compton. He is not a monster. Sookie says that if he is really Bill then he would leave now and never come back. Jessica comes to Bill/Billith’s defense telling Sookie, Eric and Nora to go instead and that she’ll stay with her maker. Sookie returns home with Eric. He tells her that he never thought she’d act like that, saving him. As a sign of gratitude and his love for Sookie he gives her back the deed to her house. She wants to be the girl in the white dress again so she resends his invitation and he’s pulled out by forces unknown. After Jason leaves Sookie he tried to hitch a ride along a road. Surprisingly someone does stop even though he’s covered in blood. The man in the car looks very creepy even stating that blood doesn’t bother him. Jason starts of by telling him about how he had to fight off a vamp’r and thats why he’s covered in blood. The man then tells Jason to tell him everything because he’s getting tired and would enjoy the distraction. Jason does; he tells this odd character his life story, basically. When Jason had finished the man says that you can’t keep Warlow away from Sookie. The man is Warlow. Jason goes for his gun and fires but Warlow has disappeared and the car goes out of control with Jason inside. Andy had just been left with four newborn baby girls. The fae he got pregnant just dumped them on him and expected him to raise them. He tries with the help of his brother and Arleen. They show him the ropes but those ropes quickly change as in the night he is startled by four toddlers in the place of what were newborns. Billith is in his office. He hears his name echo. The original Lilith appears and she appears again and again and again. Her image is in each corner of the room. The four Liliths rush at Billith and enter him. True Blood has always been an out there and oddball show. But it keeps getting weirder and weirder by the season. Is Lilith possessing Bill from time to time? So that would mean he’s not always the monster people think he is. Yet he has new, impressive powers; telekinesis and the invulnerability of dying like a normal vampire, with a stake through the heart. That’s just what we’ve seen so far. His wealth of power could be much greater.